I must be turning into an L7. 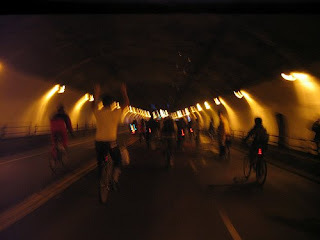 On my ride home from work this evening I ran into critical mass, and "damn" was my first thought. the costumes this year were a little disappointing though. I've been meaning to ask this: why do messengers generally dislike CM and everyone in it?